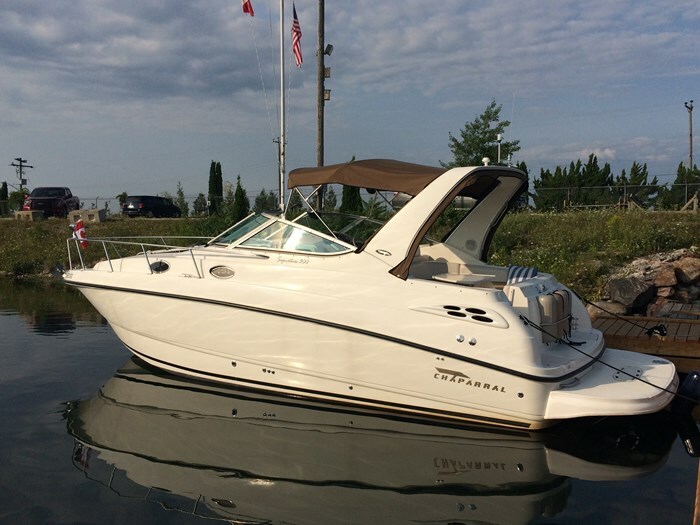 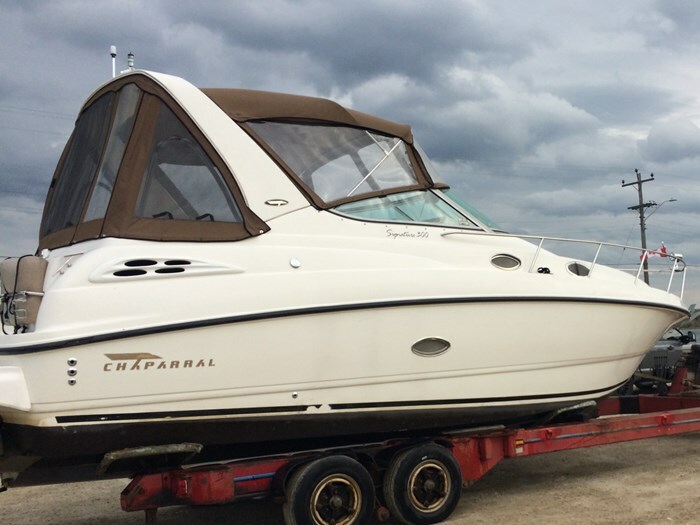 If you want a boat with low hours, in great shape this is it. 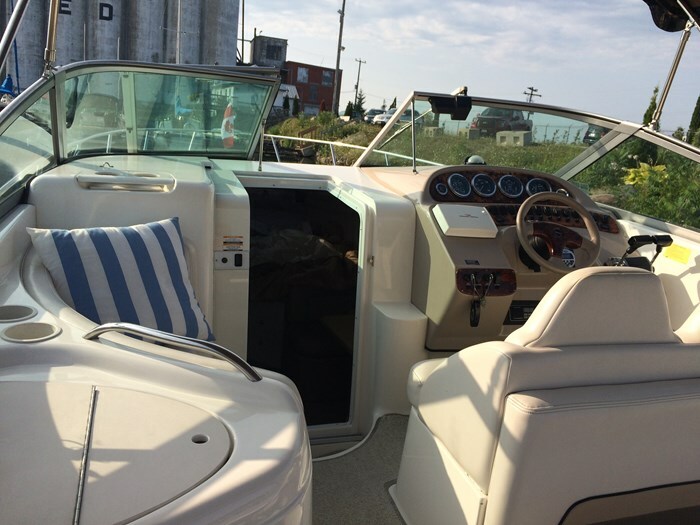 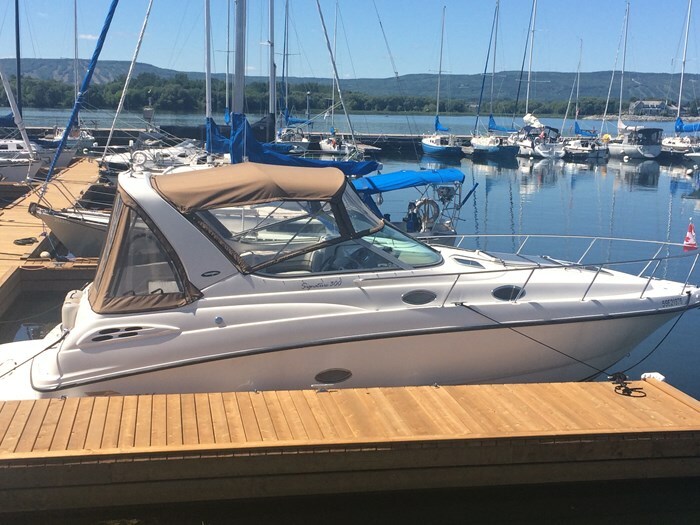 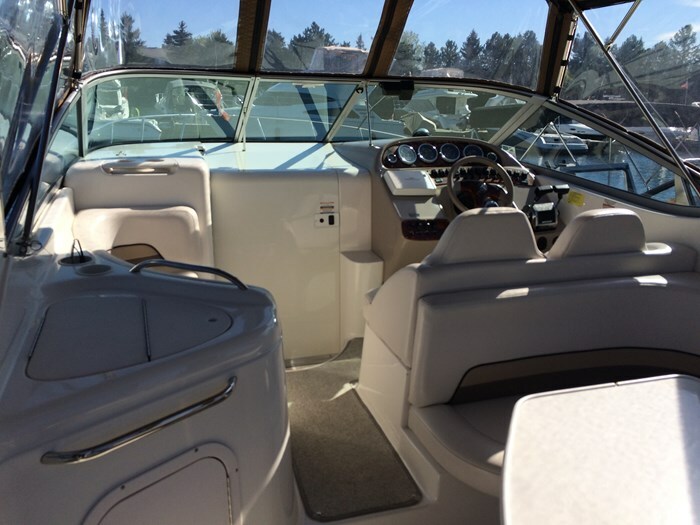 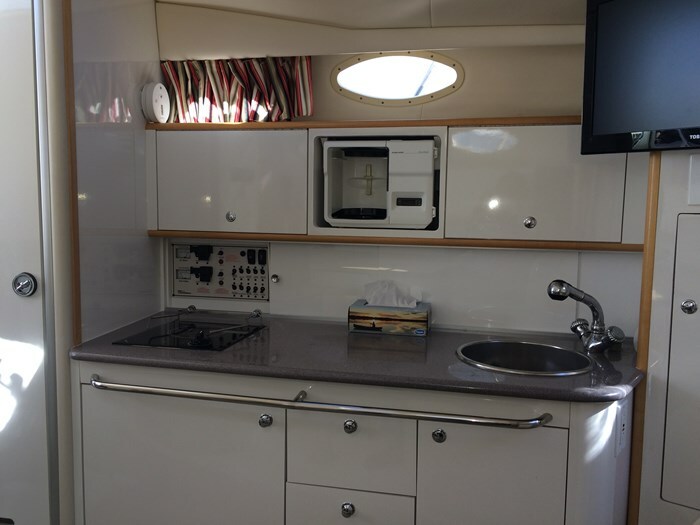 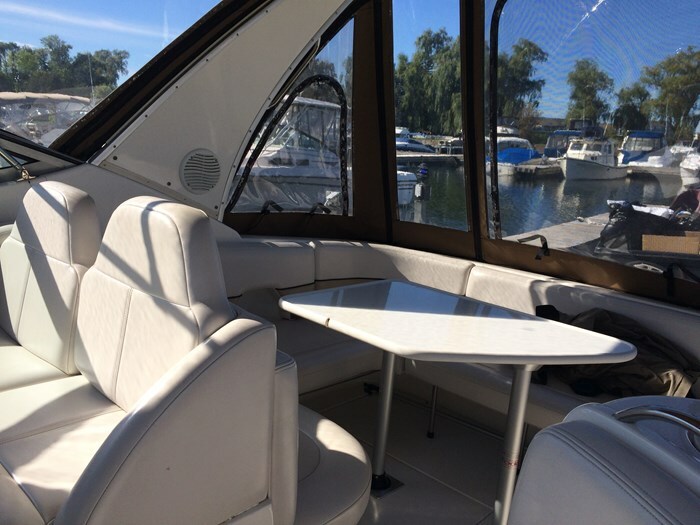 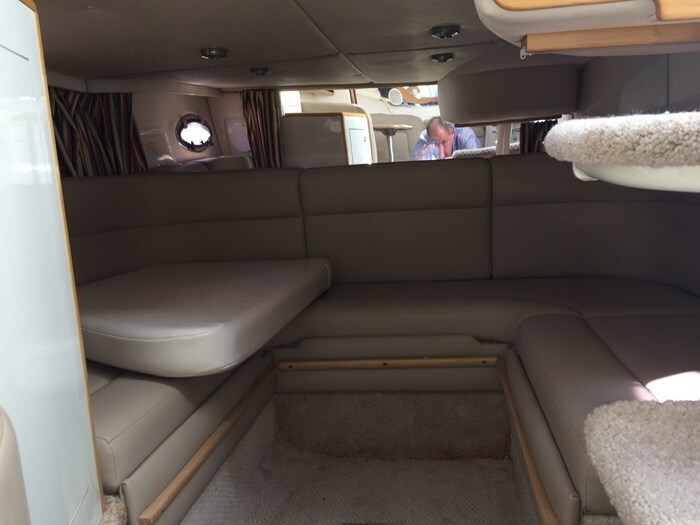 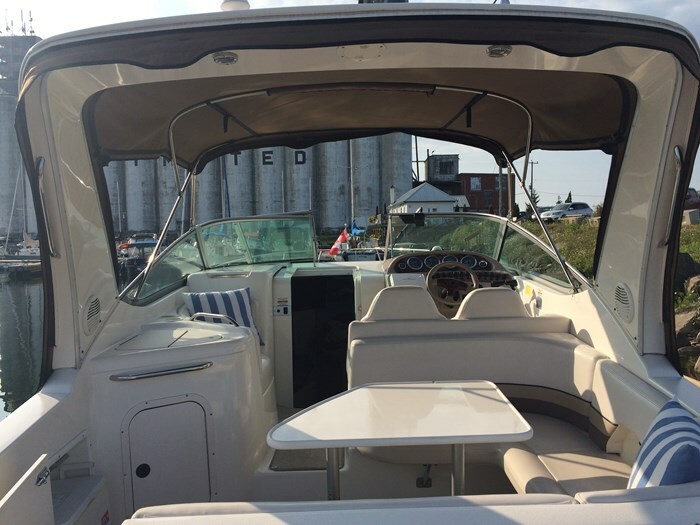 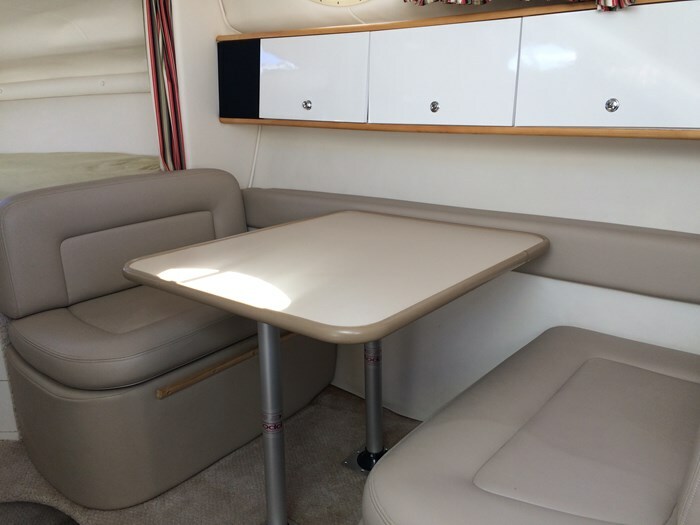 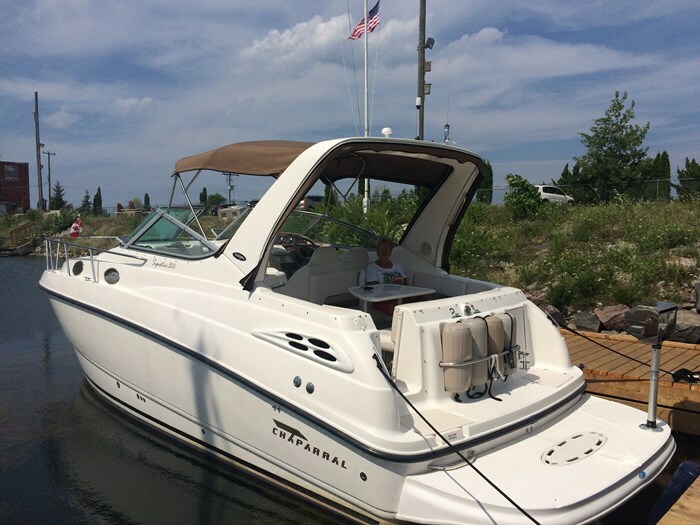 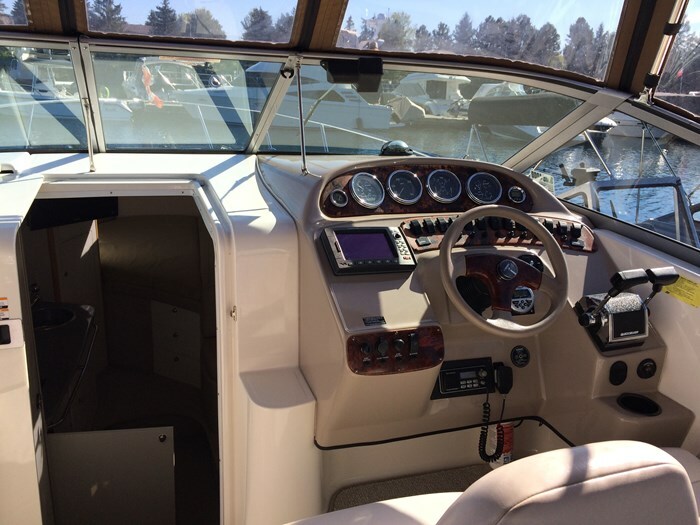 This roomy easy handling family boat with its Deep V Hull has had "extensive recent upgrades" including a NEW Port side engine July 2018 with about 16-18 hours on it. 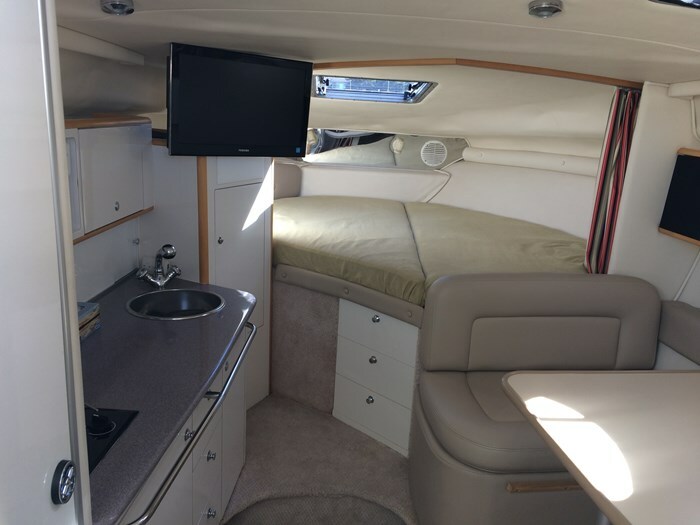 She sleeps about 8 comfortably, 2 up and 6 down with plenty of seating plus storage both on deck and below. 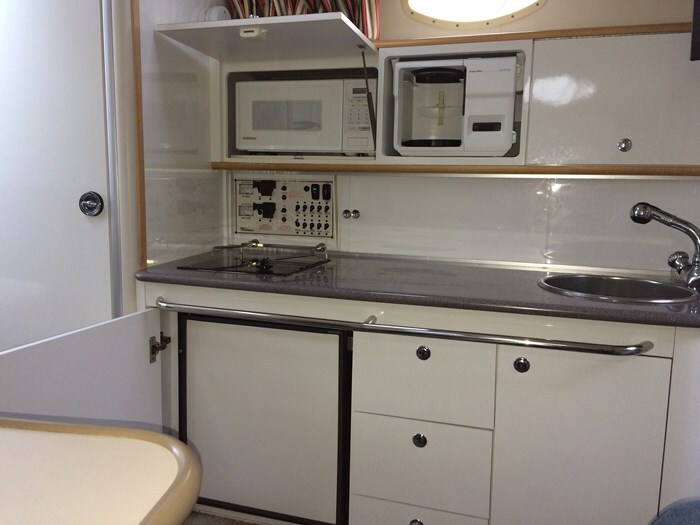 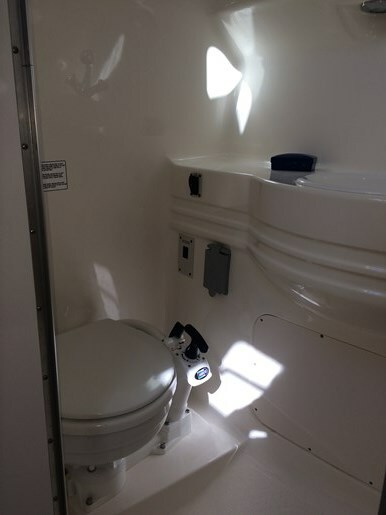 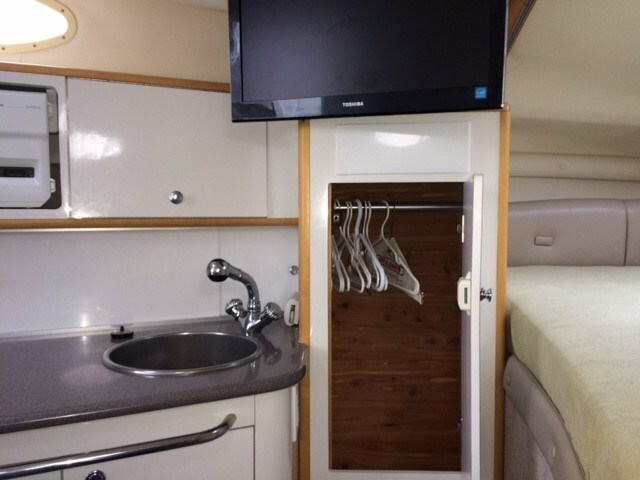 She has a stand up head/shower and about 6'4" head room in the lower cabin area. 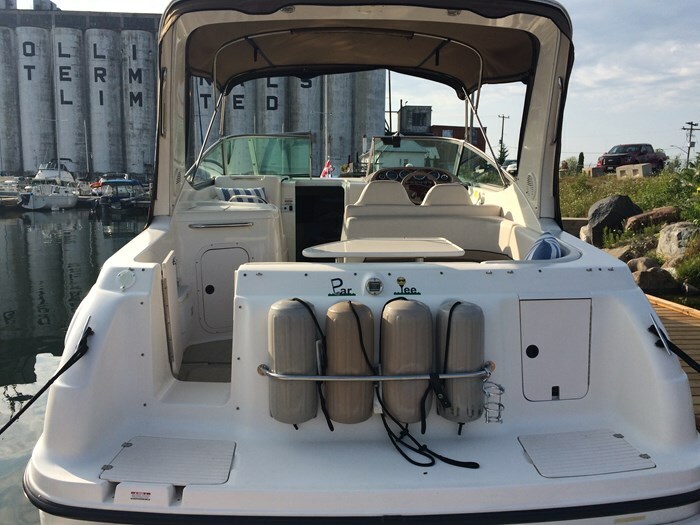 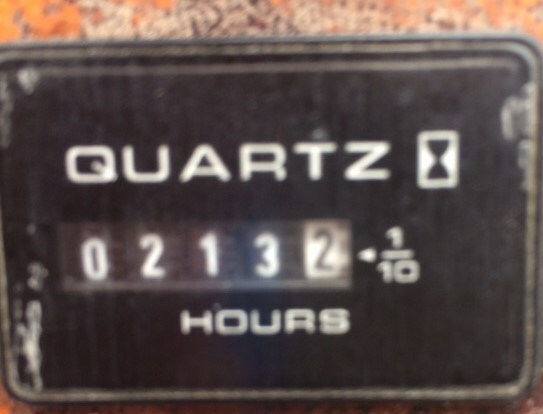 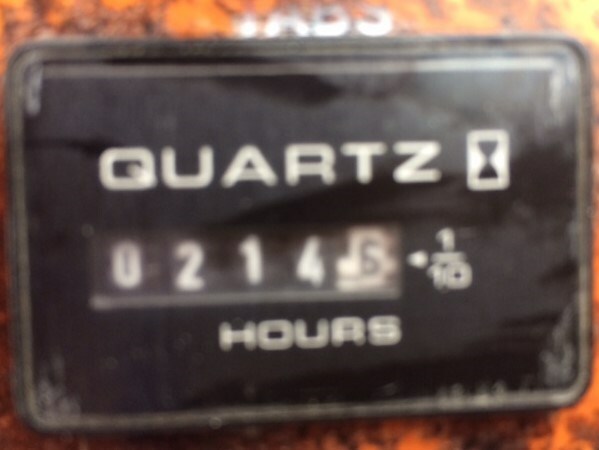 This boat with low hours is in "like new" condition and won't last.